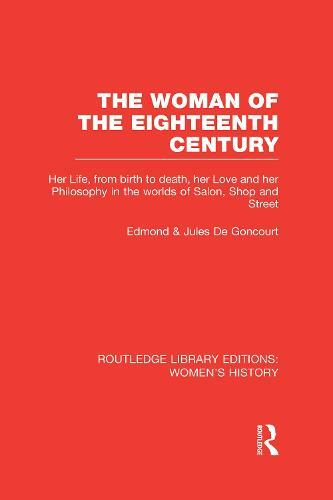 This translation of the French Femme au dix-huitieme siecle from 1862, first published in English in 1928, traces the life of the Eighteenth Century woman in an historical account. Through discussion of evidence from paintings and memoirs, the book draws an intimate lifelike account of what lay behind these images for women in France of this time. The Goncourt brothers wrote several social histories but were also art critics and novelists. Here they offer portraits of upper, middle and working class women in France. This is one of the earliest accounts of life for women in this period.